I believe dogs need 3 essential things to be happy and healthy: lots of outdoor exercise, a species-appropriate diet and tons of love! 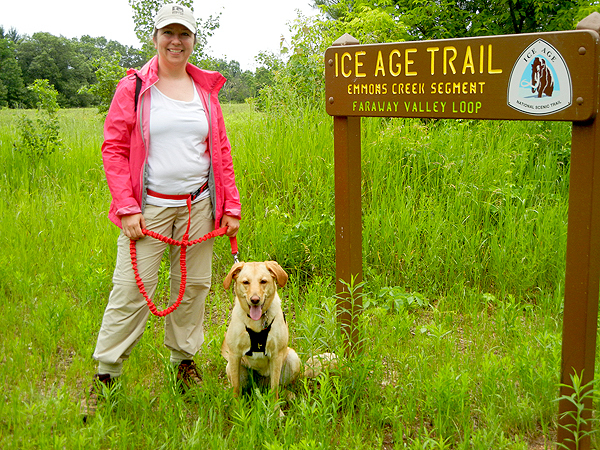 As an ambassador to pet health and wellness, I promote outdoor activities through my blog, Hiking With Heather: Outdoor Adventures With Dog, where I document our hiking/camping/road trips around beautiful Wisconsin and encourage healthy eating through my side business – Kanine Kitchen. In my free time I’m enrolled in a Pet Nutritionist program so one day I’ll be able to educate and encourage people to feed their animals a diet that will promote a healthy and long life! Full Name: Heather Burt Location: Wausau, Wisconsin Where You Can Find Me on the Internet: Kanine Kitchen, Hiking with Heather, Facebook What I do for a Living: Being a full-time accountant during the day pays the bills while I’m in school to become a Pet Nutritionist. On nights and weekends I do homework, bake dog treats for my business, Kanine Kitchen, or take my ever-active dog, Charlie, on hiking adventures. What I Do for Fun: I absolutely LOVE baking and I spend most of my free-time in the kitchen. 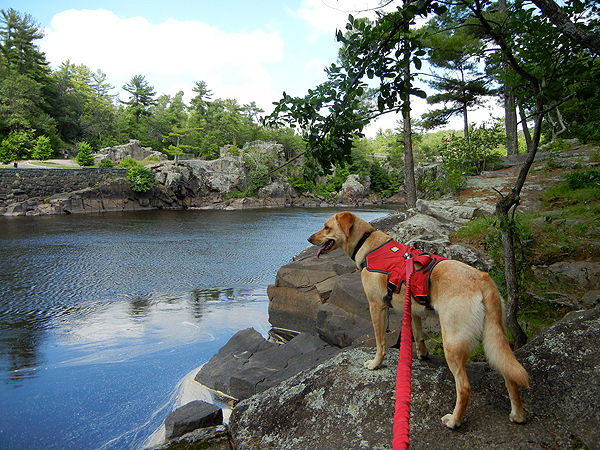 When the weather is nice, Charlie and I head out to explore hiking trails. 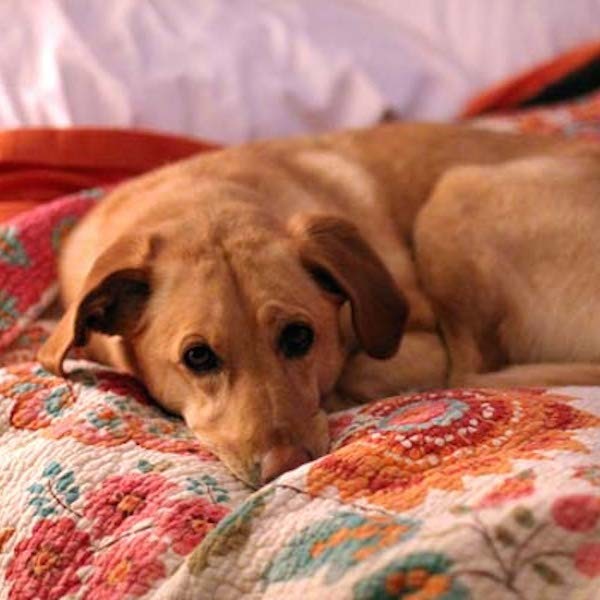 The Furry Members of My Household Are: Charlie, a yellow Lab/Border Collie mix I adopted off Craigslist. A lot of people think she’s a “boy” because her name is Charlie, but I don’t think she’s offended. My Favorite Things to Write About Are: Pet nutrition and hiking! My Pet Peeves Are: Not being able to bring my dog to work. My Guilty Pleasures Are: Finding time to read or watch a movie… there just never seems to be enough time in the day to get everything done AND relax! How I Deal with Cat/Dog Hair: I vacuum my hardwood floors with the hose attachment instead of sweeping, which always just seems to stir up the hair and dust. I also make a fashion statement with dog hair on all my clothes; it’s my number one accessory! What I Want to Be When I Grow Up: I’d like to own my own pet store where I can make healthy meals and treats for pets while educating people on pet nutrition… and my dog can come to work with me! 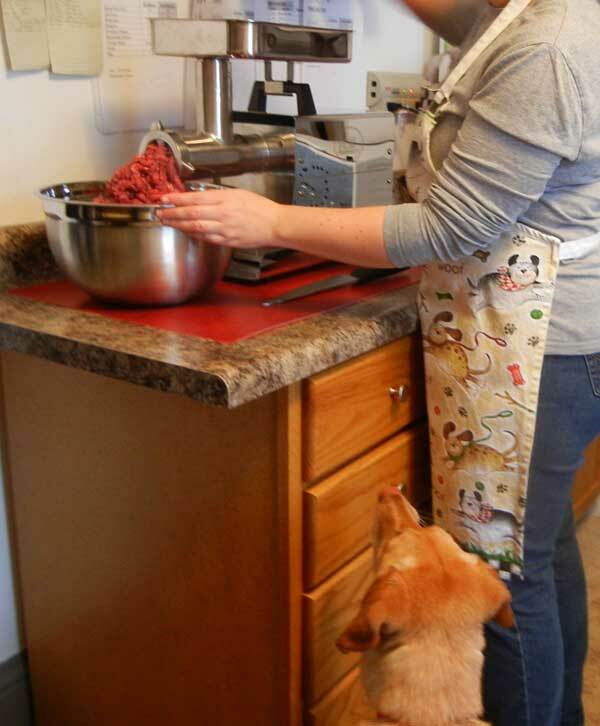 I adopted Charlie as an untrained puppy -- lucky for me I needed a big training project! I felt bad for my dog, but the atmosphere was unhealthy and the leader was a total jerk. A Pug was lost, and a Pug connected us.